Children are the future of the church. That's why we take seriously how we spend the time when they are in our care. Children, especially young children, need concrete experiences with the Bible. So we spend time carefully showing and telling the major narratives of the Old Testament and the life of Jesus. We spend time singing, preparing little hearts, responding to God's Word together, praying, reading from the Bible and sharing a snack. It is our desire to lay a firm foundation for their faith in Jesus, the very Word of God Himself, and to familiarize them with the rhythm of church life. At this time we are able to welcome children ages 3-10. When we have more helping hands, we are looking forward to minister to the wee ones with a nursery ministry. Until then, mothers with infants are welcomed to enjoy the worship and Bible study in the chapel. Space is available for parents to change and soothe crying babies or supervise busy toddlers in the nursery adjacent to the hall. Every first Saturday of the month at 9am. 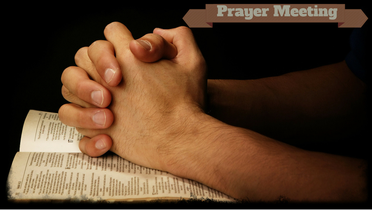 Prayer is essential to our Christian walk and a great privilege we have. This is a time for us to corporately come together and seek the Lord and make petitions to Him! If you have a prayer request, feel free to let us know. It will be our privilege to pray for you, your loved ones or a particular need. Every 2nd and 4th Friday at 6:30pm. Contact for location details. Men's meetings start with sharing food, and move into a time of prayer and discussion of the Bible study topic. Also at times we might be going through a particular book helpful in understanding the Bible more. 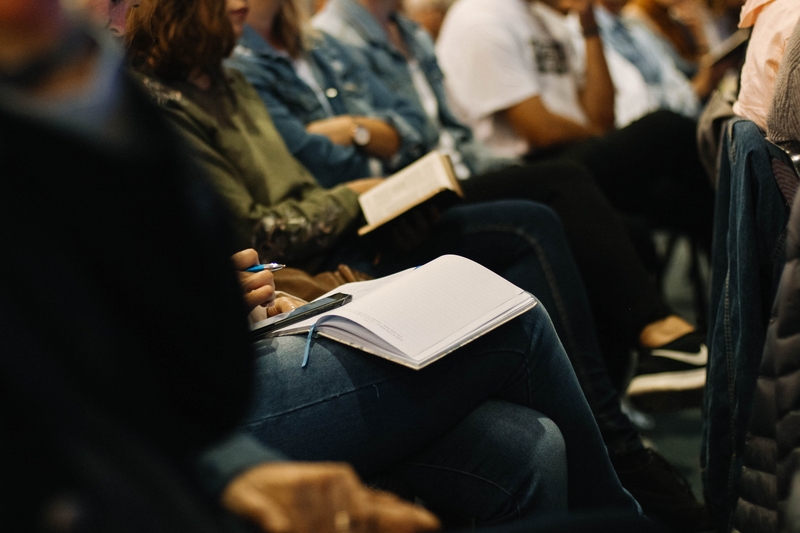 The goal is to study the Word because we know that will enable us to be godly men who will not be ashamed of the gospel and who will be able to live out our faith as husbands, fathers, brothers, sons, friends, neighbours and co-workers. We are continuing our study in the New Testament. We are studying Biblical characters, like Abraham, Moses, Apostle Paul...If you would like to join us for this study please contact us to get the current schedule of study. Once each month the ladies are gathering for Bible teaching, encouragement and prayer. In Fall 2018 ladies will be studying "Lineage of the King". There will be no homework or book study. All ladies are encouraged to come and enjoy fellowship. Ladies meet from 10 a.m. to noon on the select Saturdays. Upcoming dates: October 6, November 10, December 8, December 22, January 12, January 26, February 9, February 23, March 9, March 23, March 30, April 20, April 27, May 11, May 25, June 8. Dates are subject to change. Please use the contact page to obtain address and details. We believe in importance of sharing the love and good news of Jesus Christ with all people. We often do this through street one-on-one evangelism. 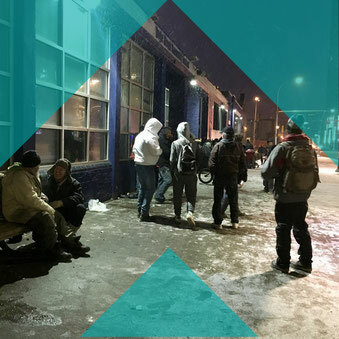 It doesn't matter if it is with homeless in winter or with young downtown, or anyone else in other seasons, we are called to share the truth. At other times it's through some kind of a outreach, or by visiting sick or those who are dying. If you are interested in joining us in these ventures of faith, please contact us, or pray for us! 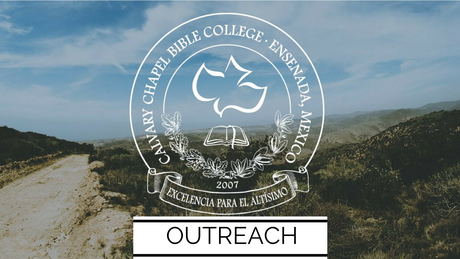 We working on doing another mission trip sometime this year to Calvary Chapel Bible College Mexico, that is located just outside of Ensenada, Mexico. If you are interested in joining us, please contact us as soon as possible, so we can provide you with all the information needed.